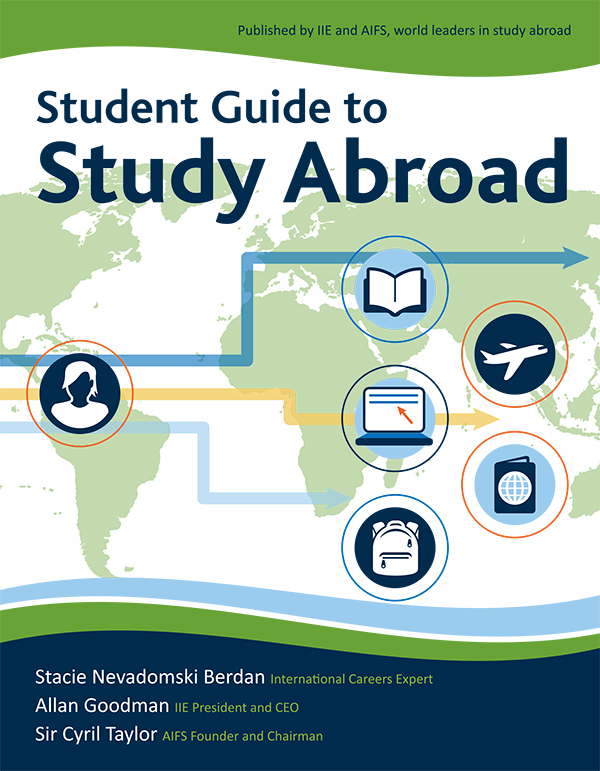 During the 2011-2012 academic year, more than 280,000 American students studied abroad. But that number is not high enough for those who understand the benefits that young students can get from time spent in other countries. In July, the University of Nebraska-Lincoln announced that it would join the Institute of International Education’s Generation Study Abroad initiative. The initiative is attempting to double the number of American students studying abroad by 2020. UNL has 550 to 750 students who study abroad every year. The number fluctuates because of economic and international issues, said Dave Wilson, senior international officer and associate vice chancellor for academic affairs at UNL. Wilson said UNL’s goal is to increase the number of students participating in its study abroad programs by 20 percent in the next five years. 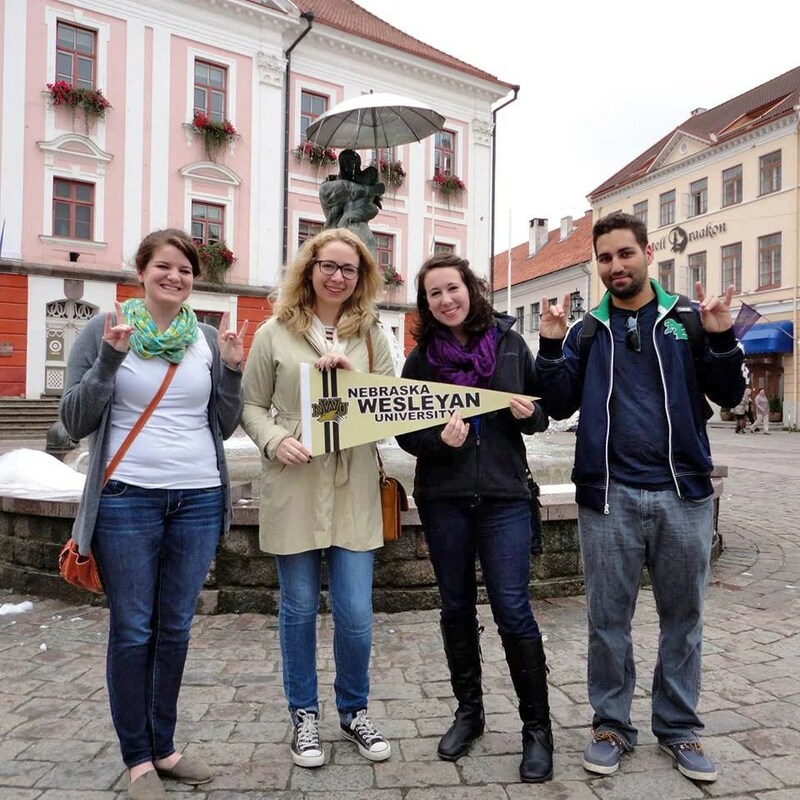 Today’s study abroad experiences are much different from programs of 20 or 30 years ago, Wilson said. Instead of being primarily tourist activities, the programs are more academically focused. “At UNL, we’re focused on not just studying abroad, but also to research, intern or do service abroad,” Wilson said. “That’s why we call our office Education Abroad, not study abroad.” . . . .
“Classical concerts, cafes and chocolate cake. 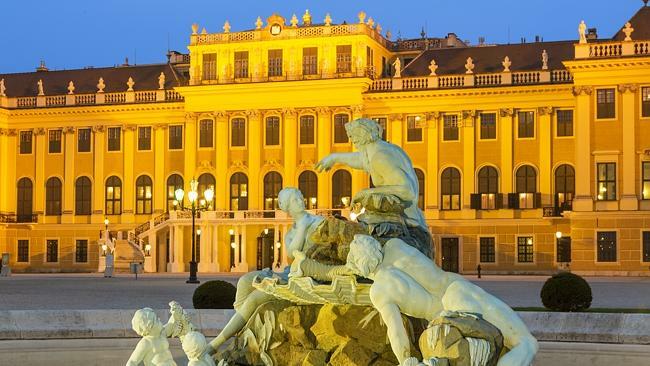 There’s much more to Vienna than these three Cs, of course, but they do help explain the good life that the lucky residents of this central European city enjoy. I experienced a taste of living as a Viennese on a brief stopover, and wished it had been longer. With a population of two million, Vienna offers all the amenities of big city life yet there’s no sense of feeling overwhelmed by crowds. The former capital of the Austro-Hungarian Empire is also old enough to have developed a character, and its historic buildings (many from the Baroque period) have prompted UNESCO to declare the city centre a World Heritage Site. 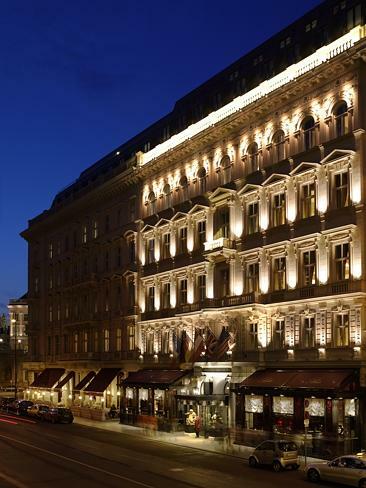 The traditional Hotel Sacher is located in the heart of Vienna. Its grand buildings and 100 or so museums have helped forge its reputation as a city of culture. But perhaps its best-known claim to fame is creating the tradition of the coffee house as a place to congregate and relax. Cafes originated in the Middle East in the 16th century and quickly spread throughout Europe. But it was in Vienna in particular that they gained the reputation for being the place to socialise and, for writers, a place to work and discuss ideas. The result is the Viennese coffee house became an “intangible cultural heritage”, as UNESCO describes it. 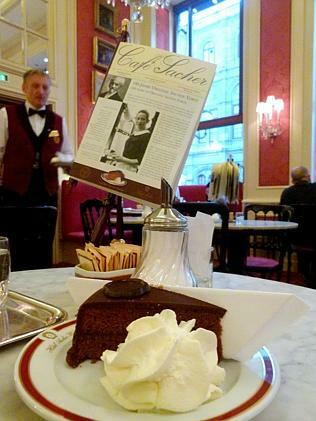 The famous Sacher Torte in Cafe Sacher. For my taste of cultural heritage I visited perhaps Vienna’s most famous coffee house, the Sacher Cafe in Hotel Sacher and home to the sachertorte. Franz Sacher was a 16-year-old apprentice chef at the court of Prince Metternich when he was called upon in 1832 to come up with a cake because the head chef was sick. Sacher’s creation – a chocolate cake with apricot filling – was an instant hit and sachertorte’s fame spread throughout the Austrian Empire. Sacher himself built the Hotel Sacher, adjacent to the Vienna State Opera House, which became a place where the aristocracy and upper class liked to meet. 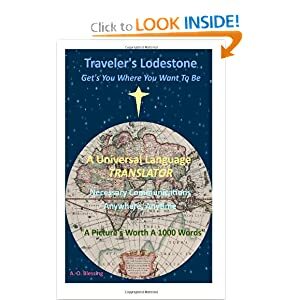 Interview with Featured Study Abroadist ~ Genny Parshley! Hi everyone! I’m so excited today because we have a really great post! I would like to introduce to you GENNY PARSHLEY, author of the blog “CHEERS” parshley.wordpress.com. Have to admit, I’m pretty jealous of her right now; Scotland has always been a dream of mine. . . . purple heather, dashing kilts, ivy-covered castles. . . Sorry, got carried away for a minute! Anyway, after reading the amazingly in-depth and inspirational posts she has shared about her trip on her blog, I asked if she would be willing to answer a few questions about her study abroad experience. Because she is wonderful, awesome, and all things good, she agreed! Not only that, she offered some really great insight into what goes on with the Study Abroad Process and the motives of those who make the decision to go for it. So read on and see what you too can learn from her adventures! Also, please don’t forget to check out her blog “CHEERS” for more information about her trip abroad! Definitely worth the read!